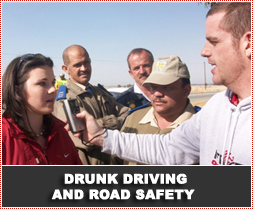 Drunk Driving is one of the biggest threats to Road Safety in South Africa. 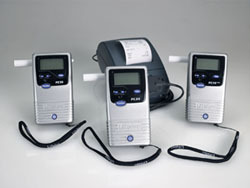 Research indicates that 50% of people who die on the roads have a blood alcohol concentration above 0.05 gram per 100 millilitres. The National Road Traffic Act (NRTA), Act 93 of 1996 as amended. (b) occupy the driver's seat of a motor vehicle the engine of which is running, while under the influence of intoxicating liquor or a drug having a narcotic effect. A concentration of alcohol in blood: 0,05 gram per 100 millilitres (all drivers), professional drivers: 0,02 gram per 100 millilitres. 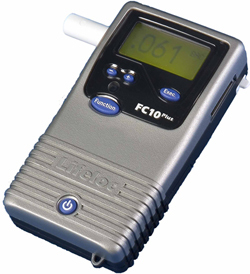 Breath alcohol content: 0,24 milligrams per 1000 millilitres (all drivers), professional drivers: 0,10 milligrams per 1000 millilitres. (b) during his or her detention smoke until the specimen has been taken, as the case may be. No person shall refuse that a specimen of blood, or a specimen of breath, be taken of him or her. (ii) a third or subsequent offence, for a period of at least ten years.